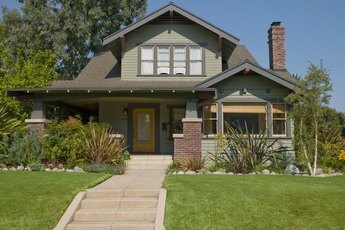 The equity in your house can fund the cost of home improvements. Home improvements can provide a major upgrade to the quality of your current living situation. If you don’t have a pile of cash to pay for home improvements, you can tap into your home’s equity with a cash-out refinance. Equity is the portion of your home’s value above and beyond the amount of your mortgage. In a cash-out refinance, a lender pays off your old loan and gives you cash equal to a portion of your equity. Your new, higher loan amount consists of your old loan amount plus the amount of cash you receive. Multiply your home’s current estimated value by 80 percent to determine your new maximum loan amount. While some banks will lend up to a greater percentage of your home’s value, many put a cap at 80 percent. For example, if your home is worth approximately $200,000. Multiply $200,000, you can borrow a total of about $160,000, which includes the amount of your existing mortgage. Subtract your current mortgage balance from your result to figure the equity available to pull out as cash in a refinance. For example, if you calculated that you can borrow a total of $160,000, and you have a $120,000 mortgage, you can probably borrow and additional $40,000 for home improvements. 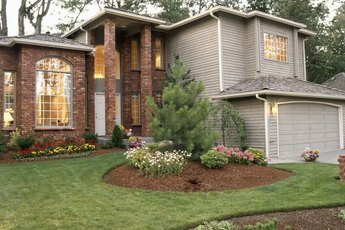 The actual amount may differ due to closing costs, your home’s appraised value or various other reasons. Visit multiple lenders to determine the interest rate, monthly payment, closing costs and other terms for which you might qualify. Ask each lender to give you a good-faith estimate, or GFE, which is a written estimate of these items. Federal law requires a lender to give you a GFE when you apply for a loan. Compare GFEs between lenders and determine which payment and terms are best for your situation. Make sure you can comfortably afford your new payment, which will likely be higher because of your larger loan amount. Make sure the cash-out amount is sufficient to cover your home improvements. You don’t want to finish half of a room addition and run out of money. Contact the lender with whom you decide to complete the refinance to get the ball rolling. Provide any requested documentation, such as pay stubs, as soon as possible to facilitate the application process. 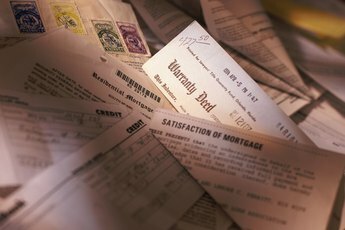 Read all your loan closing documents carefully before signing. Make sure the costs and loan terms are the same as or very close to those stated in the GFE. A GFE allows for slight changes between the time of application and closing, but you should question any large differences. For example, a $10 increase in closing costs to cover extra prepaid interest might be okay, but a $300 jump might be cause for concern. Collect your check from the lender for the amount of cash out after you have signed all closing documents and the loan has funded. The extra interest you will pay over the life of your new loan will typically be greater than the cash you pull out for home improvements. Consumer Financial Protection Bureau: What Is a Good Faith Estimate? What Is a GFE?